London-based sports production specialists Input Media captured and delivered complete coverage of The Emirates FA Cup third round for the first time, with all 32 matches made available as world feeds for The FA’s international rights-holders and a new digital clips service racking up 46 million views on social media. One digital clip was viewed more than six million times on Twitter alone with several other clips each chalking up more than a million views. Input Media – which is part of the Gravity Media Group – staged the broadcast operation from its production centre in Chiswick, west London, where an 80-strong production and technical crew oversaw delivery of 22 live games on the Saturday, eight on the Sunday and one on both Friday and Monday evening. Match commentaries were added to all 32 ties, either off-tube from the Production Centre or from the 21 outside broadcast (OB) facilities contracted to provide match coverage at various grounds around the country. A standalone FA Cup Superfeed – an 8-hour continuous programme showcasing the pick of the live games and highlights of others – was also created, while all the goals and highlights edits were delivered on two rolling clips channels for the BBC to use on its flagship Match of the Day programme. As part of a new short-form content service offered by The FA, where users can sign up to receive live clips via the @EmiratesFACup Direct Messaging function on Twitter, Input Media also created digital clips for use on social media. Five dedicated social media producers followed the games as they were happening, selecting and distributing 66 eye-catching clips from across the third round that generated more than 26 million views on Twitter, with another 20 million views on other platforms such as Facebook and Instagram. 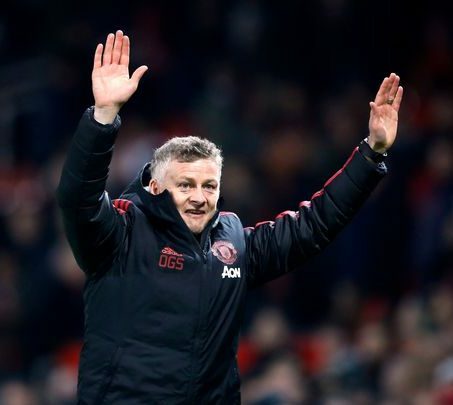 The most popular featured Manchester United’s Alexis Sanchez being asked to move after sitting in the seat of his new manager, Ole-Gunnar Solskjaer (pictured), had 6.2 million views.